Replacement net for octagonal 15ft Waouuh 460 trampoline. Trampolines have several safety components, one of them is the enclosure, which is left outside all year round in the sun and the rain. 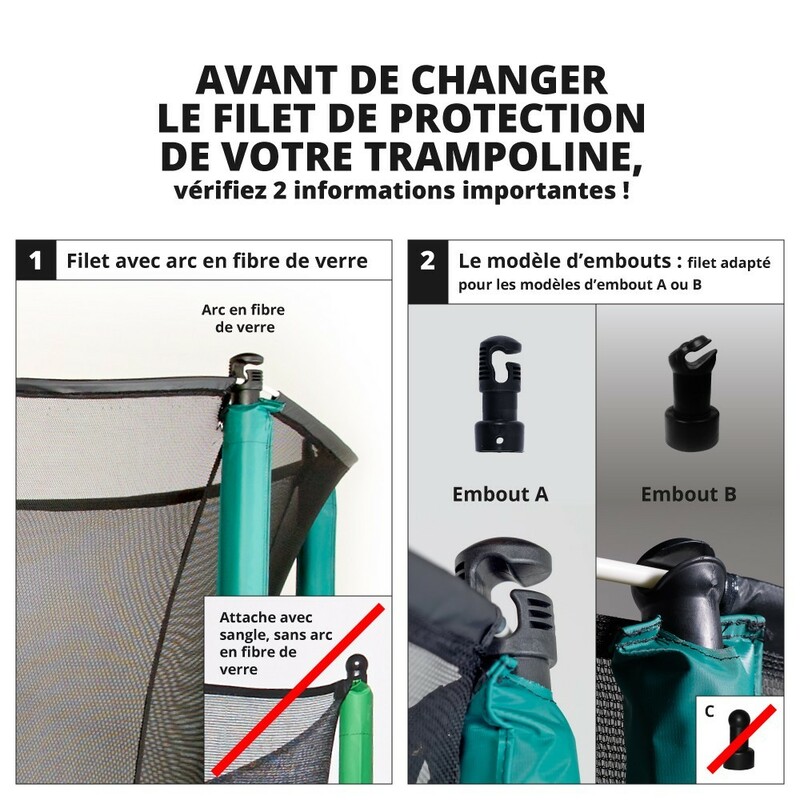 The enclosure should be in good condition to prevent users from falling off the jumping pad. If your enclosure is damaged, we recommend that you change it. 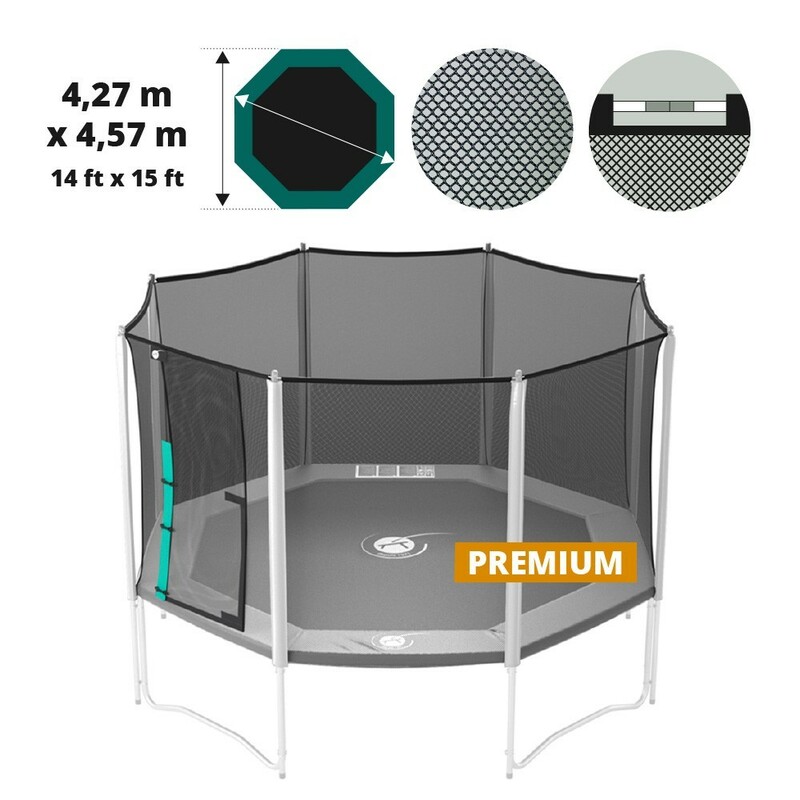 If your octagonal trampoline measures 15ft (in diameter), has 4 feet and 8 posts, then this replacement netting is just what you are looking for. 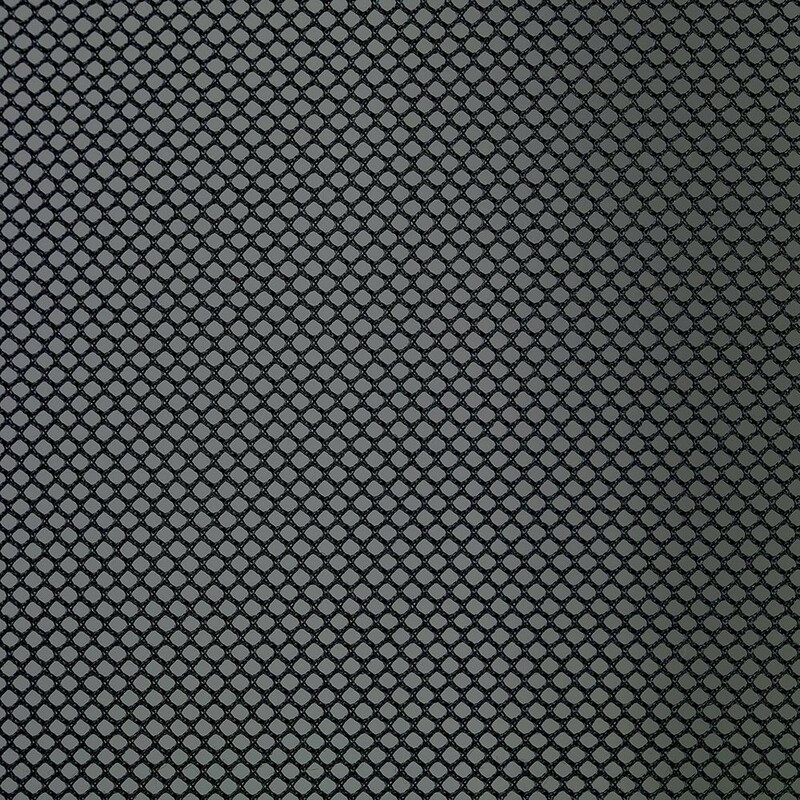 - This replacement net has been designed for a 15ft Waouuh 460 trampoline that we delivered after April 2012. If you have an enclosure with straps for 8 net posts, we have another 15 ft/460 enclosure that will be more adapted. 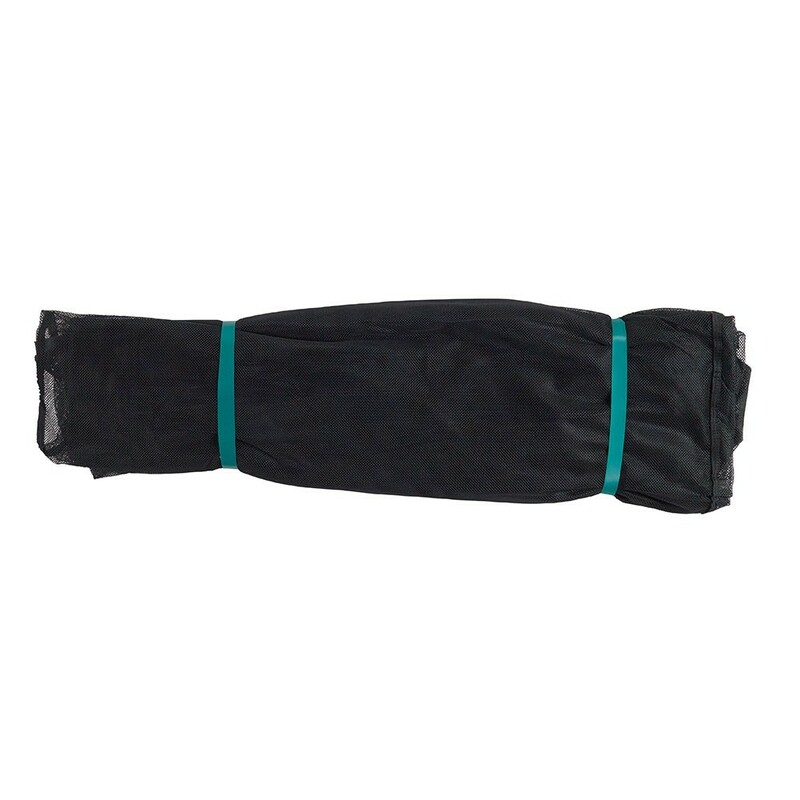 - This netting is made using thick, resistant polyester. It has been UV protected and can remain outside all year round. Children cannot get their fingers caught in the fine netting. 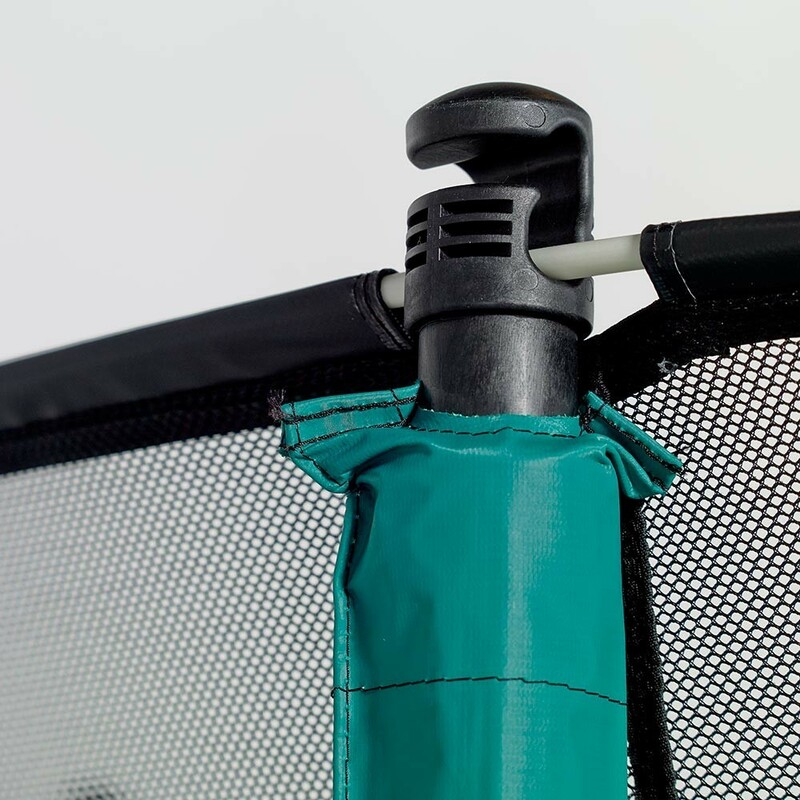 - This net is held in place using fibreglass rods, which are not included in this pack, that slide into sheaths at the top of the netting. 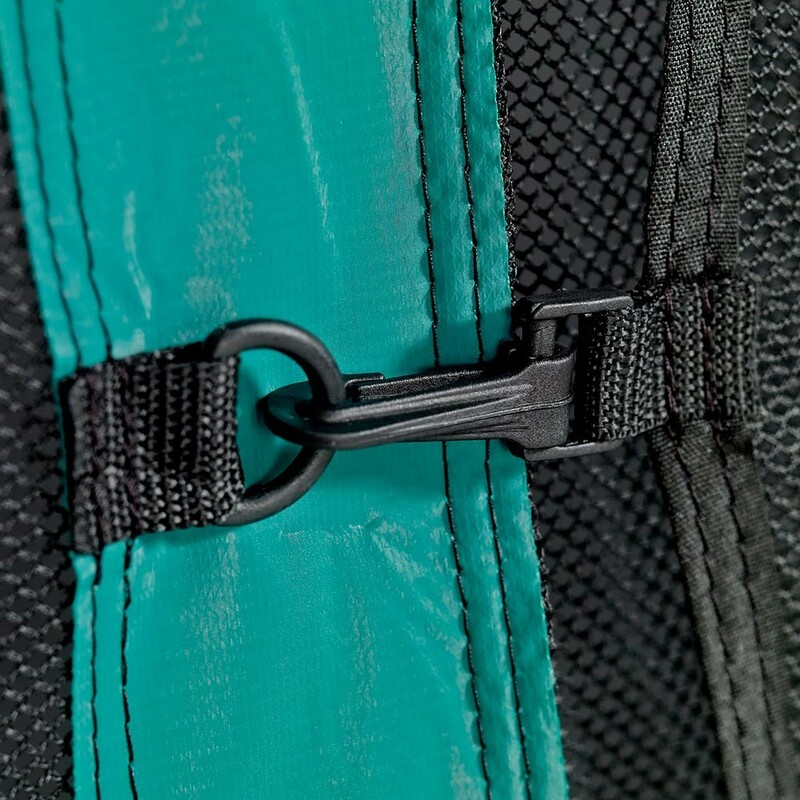 - It is fixed to the outside of the trampoline, it goes around the steel framework and attaches to the springs to ensure perfect tension and to break any falls. We guarantee optimal tension for any trampoline of 89 cm in height and with posts of 2.70 m in height. - Finally, the entrance consists of overlapping layers of netting. This door closes using a large strip of Velcro and clips.